If you live in Western or Central Pennsylvania, you've probably heard of Marcellus Shale drilling. While many people have weighed in on the environmental impacts of shale operations, there's another side effect that doesn't make headlines as often: truck accidents. A process called hydraulic fracturing, or fracking, is used to get to the natural gas stored in the Marcellus Shale. This requires millions of gallons of water, sand, and chemicals in addition to the drilling equipment used. How does of all of this get to the drilling site? By truck. Washington County has over 800 active wells, Greene County has over 550, Westmoreland County has over 230, the list goes on and on. The people who drive Marcellus Shale trucks are professionals, but sometimes things happen that are out of their control. When you're dealing with roads not designed for heavy truckloads, drilling companies on tight deadlines, and hundreds of trucks crossing paths with other drivers, devastating accidents can and do happen. That's where we can step in and help. 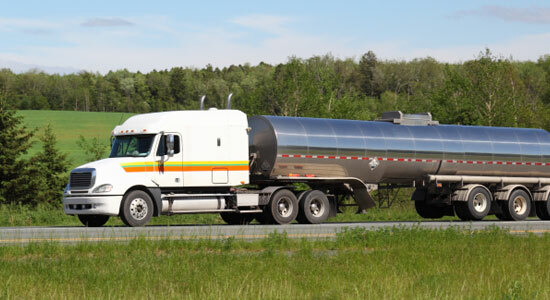 Injured in a Marcellus Shale Truck Accident? If you or a loved one was injured in an accident caused by a Marcellus Shale truck, we know that you're overwhelmed. You're trying to focus on getting better, but that's hard to do when you have to worry about medical bills, lost wages, and your finances. It's our job to take that burden from you so you can focus on your health. Get in touch with us anytime – our legal consultations are free and there's no obligation to use our services. Call 1-866-943-3427, or fill out an online legal consultation. "Externalities of Shales: Road Damage." EnergyPolicyForum.com. April 1, 2013. "Marcellus Shale industry obliged to repair state roads." Pittsburgh Post-Gazette. June 22, 2011. "Marcellus truck traffic not kind to Pa. roads." Pressconnects.com. May 3, 2010.